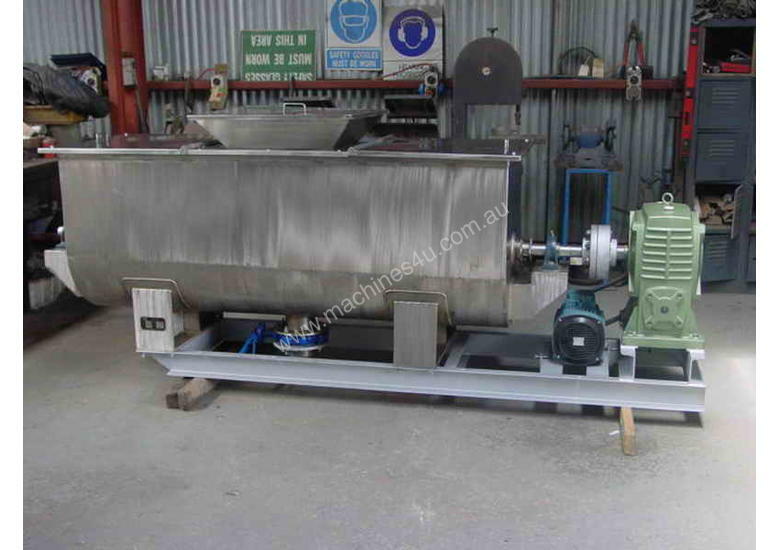 New 1000L Stainless steel ribbon blender. 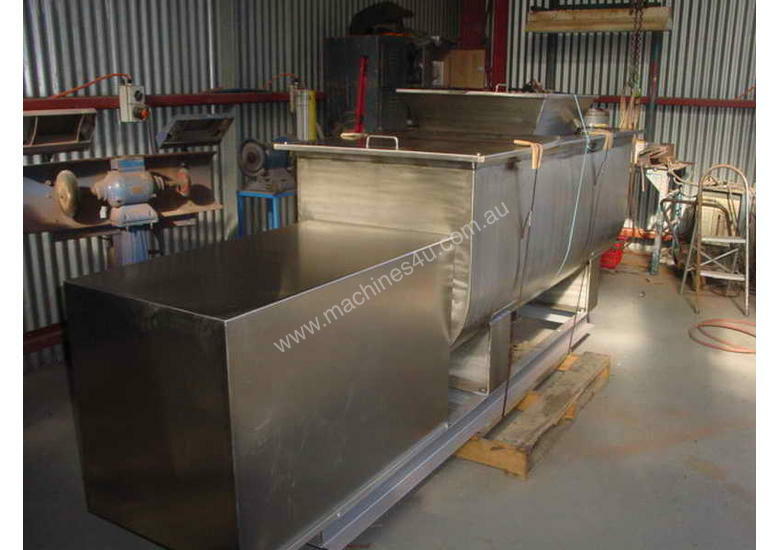 These units are great for blending dry powders and even slurries. They blend in a cross flow method by moving product in both directions at the same time. 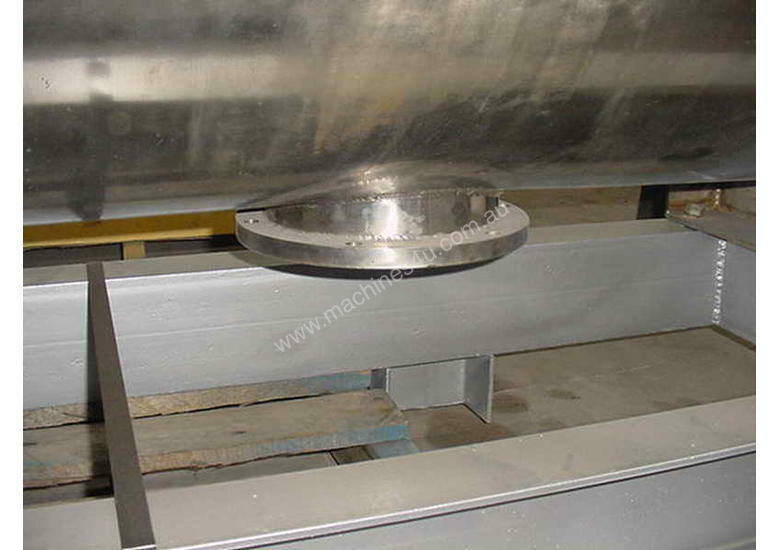 Product is fed in the top through a loading hopper, mixed and then discharged out the center bottom outlet. We keep these machines simple and well made to keep the price down. You wont find a more reasonably priced new Stainless steel ribbon blender than you will for one of ours. We have these in stock and they can be inspected at our factory in Melbourne. 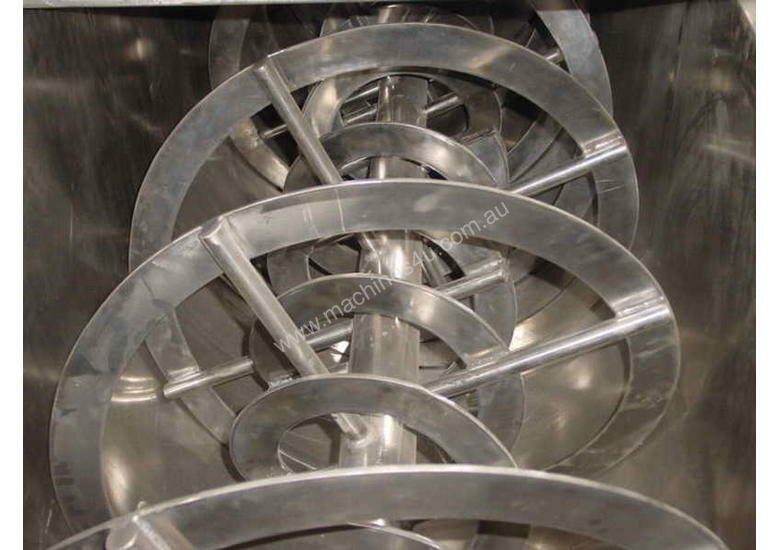 Stainless Steel 1000L Ribbon Blender, double helix ribbon, flanged center outlet complete with 7.5kw drive(415V) and 40:1 gearbox, provides a final drive speed of 36rpm. We also make these in 500L, 2000L, 2500L, 3000L, 4000L and 5000L and they can come with a blade design instead of a ribbon. The blade is better for cleaning and provides the same mixing properties.